I am delighted to announce the official launch of Engineering Technology Group’s new website – this accumulated project has amassed over 700 hours of hard work, and I’m so incredibly proud of my team and the finished product. We developed ETG’s old website nearly 7 years ago – a mammoth project that amalgamated 9 of ETG associates sites alongside their own (ultimately containing over 1000 pages of content! ), so over the years the site had understandably become rather clunky and tired with a need for an update. Martin Doyle (ETG Managing Director) is always pushing Formation to break technical boundaries, so we promptly set about creating a new digital marketing strategy for ETG to drastically enhance customer engagement whilst also competing and surpassing competitors in the engineering and manufacturing sector. With strategy and objectives set, the Formation team worked very closely with the senior ETG management team and customer-base on the websites User Experience (UX) – it was essential to establish and confirm the best functionality to support both the client’s journey and the ETG sales team. The entire process took eleven months of UX, design, development and testing, with the website finally going live on March 29th in readiness for MACH 2018. 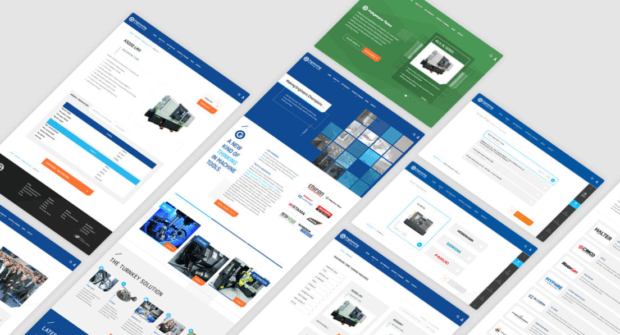 The website and custom-built Machine Tool Configurator echoes the businesses impressive equipment offering and enables clients to easily configure machines to their desired specification online, whilst browsing the multiple levels of turnkey solutions offered by ETG. An entire project can now be scoped and quoted in minutes, radically reducing the sales process and enabling customers to make informed business decisions very quickly. I wish to personally thank Martin Doyle and ETG for being brave enough to understand the scope of the project, the investment required to complete such a mammoth undertaking and finally, the trust in what we could deliver. Contact us today to find out more about our services: https://formationmedia.co.uk/contact/ or alternatively ring us on 01926 298 777.